St Andrew businesswoman Jade Lee is taking legal action against the police after allegedly having to endure a humiliating strip search and being locked up for 16 hours, after cops stopped her at a Zone of Special Operations checkpoint earlier this month. Lee told Loop News that she has retained the services of prominent attorney, Valerie Neita-Robertson to handle her legal claims. 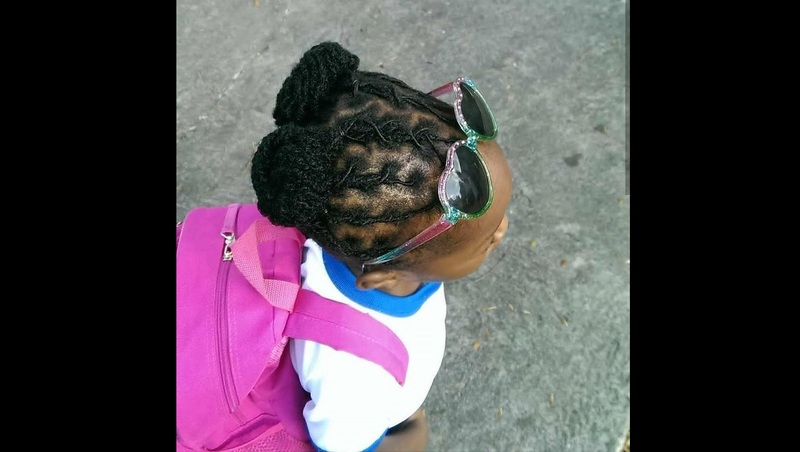 Her case was brought to light by opposition senator Lambert Brown in parliament last week. Brown did not name Lee but she confirmed to Loop News that she was the individual he was speaking about. “I am most definitely pursuing legal action. It was an unlawful arrest and my attorney is already dealing with the issue. I was subjected to a strip search and ordered to stoop down and cough by a female cop, who also said she was going to make sure I spend the night in jail. She also recommended that I be detained for a further seven days,” Lee said. 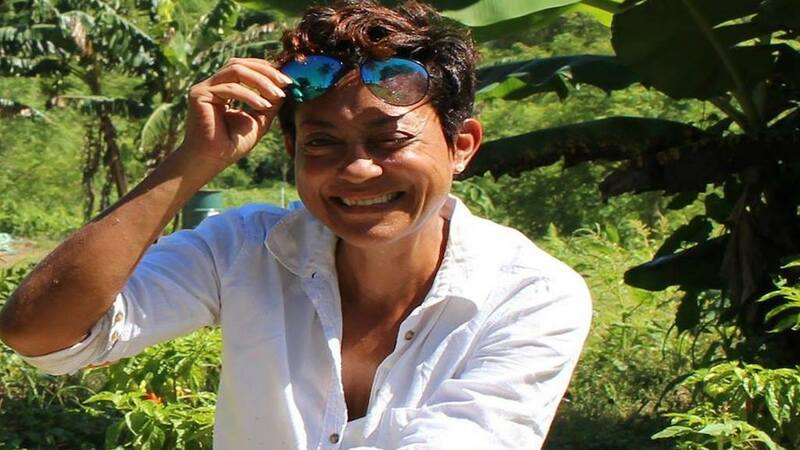 Lee, who operates a farm, was arrested and charged after her firearm licence was deemed to be fraudulent by the security forces, despite her claims to the contrary. A charge of illegal possession of a firearm and ammunition and forgery has since been struck from the record due to legal maneuvers by her attorney. The businesswoman said she was being transported in her private vehicle by her designated driver on Waltham Park Road on October 11, when the driver was signaled to stop by the police. She said things took a turn for the worse when a policeman ordered her to put out a cigarette she was smoking inside her vehicle. It was then she said that a female officer told her colleagues to search the vehicle and its occupants. 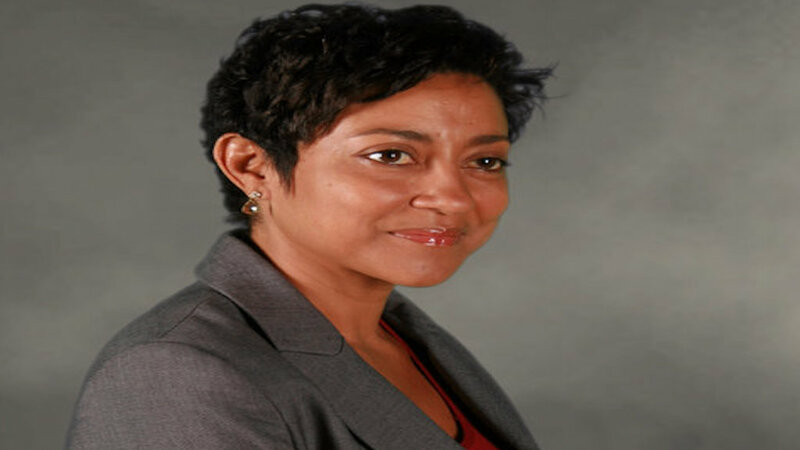 In a letter to Prime Minister Andrew Holness, National Security Minister Dr Horace Chang, Police Commissioner Major General Antony Anderson and Deputy Commissioner Gary Welsh, Lee explained her experience. “We pulled over and complied with their request to step out of the vehicle, they thoroughly searched my vehicle whilst the female officer (Badge # 17895) asked me to give her my handbag which she searched and found my firearm and removed it. I then realized that my firearm was removed when I took up my bag from the rear seat of the police vehicle and asked if she had taken my gun, she nodded," Lee wrote. "I asked why and said I thought she could (have) said something pertaining to my firearm and explain why she removed it, to this she responded “mi nuh haffi tell yu nutten”. I then realized that she was holding it in her in her right hand. For the next half an hour she paced the sidewalk with my firearm in her hand. During this time, I presented my recertification paper which had been previously torn and I explained that on a previous inspection from the police, just days before, I was asked to rewrite the date, which I did," she said. "As far I could see, it was October the 9th. It was later verified by the FLA that it was in fact the 24th of October. During the half an hour that we spent out of our vehicle, the passenger who was sitting in the back seat was attempting to have a conversation with me (and) was shouted at by the said female officer several times, “shut up yuh mout!” I said to her “Officer, why are you being so disrespectful and aggressive? Why is that behavior necessary?” She replied. "Im a obstruct justice. An him fi shut up him mout!” I asked, “How is he obstructing justice by having a conversation with me?” But all she did was continue to pace the road with my firearm in her hand,” the report continued. 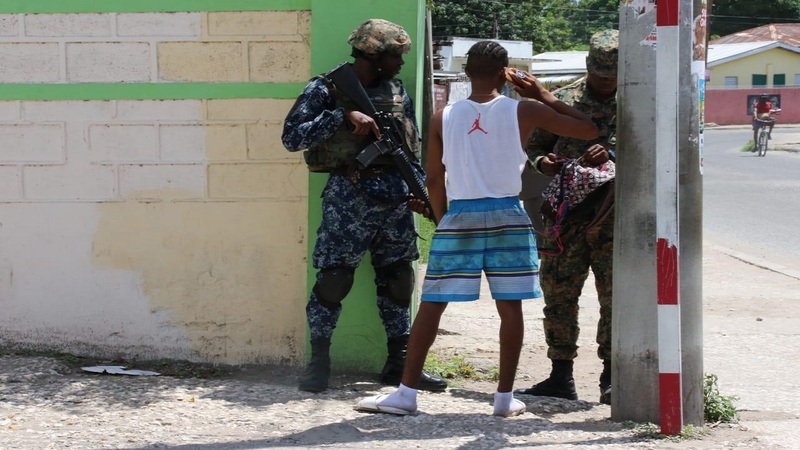 Members of the security forces register residents in the Denham Town ZOSO. 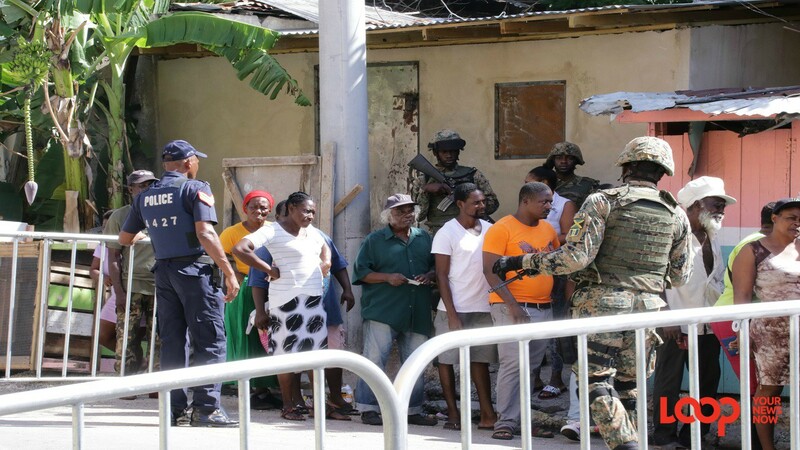 Lee said she was carted off to the Denham Town police station where she was held outside a processing tent for hours before being informed that she was being charged and locked up. She claims the police denied her justice after they were informed by the Firearms Licensing Authority (FLA) that her firearm certification was in order and that she was hauled over the coals by a vindictive female cop. “The FLA informed us that they told the police the same night I was arrested that my firearm was in fact legal, but the police chose to ignore that. In addition, the police has access to the FLA database and could have checked it out without victimising me,” she said. She also expressed disappointment with the instructions of Commanding Officer of the Denham Town Police, Superintendent Collin Mellanese, who she said informed her that, in the ZOSO, civilians had no rights and she should have complied with the policeman’s orders to put out her cigarette even though she was smoking within the confines of her private motor vehicle. She also claimed she was denied a telephone call until almost 12 hours after she was first detained. But despite her experience, Lee is adamant that she remains a patriotic Jamaican who will fight for the rights of lesser privileged nationals after experiencing first-hand, the conditions of what she calls the ‘concentration camp’ of Denham Town Police Station. “My modus operandi will be to oppose methods of the ZOSO which take away certain basic human rights. I want to get some of these policies re-evaluated. I have seen what happens to less privileged garrison youths and I will be an advocate for them,” she said. I would like to recount a series of events that took place on the evening of October 11th, 2018. We pulled over and complied with their request to step out of the vehicle, they thoroughly searched my vehicle whilst the female officer (Badge # 17895) asked me to give her my handbag which she searched and found my firearm and removed it. I then realized that my firearm was removed when I took up my bag from the rear seat of the Police vehicle and asked if she had taken my gun, she nodded. I asked why and said I thought she could a said something pertaining to my firearm and explain why she removed it, to this she responded “mi nuh haffi tell yu nutten”. I then realized that she was holding it in her in her right hand. For the next half an hour she paced the sidewalk with my firearm in her hand. During this time, I presented my recertification paper which had been previously torn and I explained that on a previous inspection from the police just days before I was asked to rewrite the date which I did. As far I could see it was October the 9th. It was later verified by the FLA that it was in fact the 24th of October. During the half an hour that we spent out of our vehicle, the passenger who was sitting in the back seat was attempting to have a conversation with me was shouted at by the said female officer several times “shut up yuh mout!” I said to her “Officer, why are you being so disrespectful and aggressive? Why is that behavior necessary?” She replied Im a obstruct justice. An him fi shut up him mout!” I asked “How is he obstructing justice by having a conversation with me?” But all she did was continue to pace the road with my firearm in her hand. She proceeded to call the Inspector in charge of the operation and I was then asked to present my ID and realized that I had left my ID at the bank earlier that day with an employee of mine whilst doing a bank transaction. 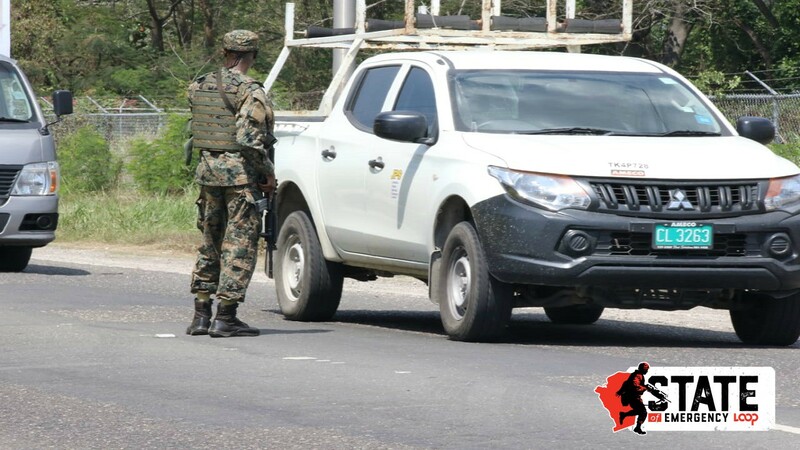 I was taken into the police vehicle and transported to a zone of operations special camp site located behind the Denham Town Police station, whilst my driver and colleague followed in my vehicle behind. Meanwhile my family members retrieved my passport from home and brought it to the location where it was presented. I asked to speak to the Superintendent in charge and Superintendent Collin Mellanese presented himself. I explained what had transpired and he told me that I was wrong to have not put my cigarette out in my vehicle and that in a zone of operations civilians have no rights and that police officer have the right to do as they please. I was shocked and disappointed by his response. Another police officer was asked to contact the FLA to verify my firearm and I was told that my firearm was verified but then told that I would be charged for forgery and possession of an illegal firearm, this I did not understand. I stood outside the processing room for about two hours over hearing many illicit and undermining conversations between the officers, the worst of which is when the female officer said “me ago mek sure she sleep a jail tonight.” I felt helpless, victimized and violated. I was then taken into a room which was called the processing room where I was asked to give details of my identity and address and then finger printed. A different female officer then sat with me and explained that I was going to be arrested under the alleged charges of forgery and an illegal firearm and taken to the Central Village Police Station to be locked up. All my efforts to explain the circumstances all fell on deaf ears. During my two hours of standing outside the tent, four – six police officers were always in my presence. In the processing room, the female officer (badge # 17895) that was on the scene at Waltham Park, sat with us with my firearm exposed on the table with the clip removed whilst many other persons of interest were processed in and out of the said room. It was not until the officer bringing the persons of interest into the room advised them to put away my firearm out of plain sight of these persons as it could prove dangerous that it was put into a sealed envelope. I was then escorted to a desk close the exit of the facility where my personal belonging were taken from me and I as handcuffed and put in the back of a police jeep. I explained to the officers that I suffered from low blood pressure and was feeling ill and they were instructed by the Superintendent to take me to Kingston Public Hospital KPH. I was taken to the KPH by two police vehicles bearing 8 armed police officers some of whom carried high powered rifles followed by my friends and family including Councilor Kari Douglas. The doctor on duty made the checks and my blood pressure was fine. I then realized that my ill feeling could only have been attributed to the fact that I hadn’t eaten since noon the previous day. Upon leaving the KPH the two police vehicles sped through back roads going at over 100 miles per hour, flashing me from side to side in the rear seat. I can only assume to lose my parties which were following. Upon entering the Mandela Highway, a grey SUV was spotted swerving from lane to lane and was pulled over by the two police vehicles one in front and one behind, I was in the one behind. My family and friends also following also stopped behind. Three officers alighted the vehicle and spoke to the person in the grey SUV that was stopped, I heard Councilor Douglas asking the police officers what was going on one officer replied “Go back inna yuh vehicle!” She asked again “I’m only trying to find out what’s going on as my friend is in the vehicle!” The police officer then shouted “If you doh go back inna di vehicle, we a go use force fi put yuh back in deh!” Being six months pregnant and not wanting to have a confrontation with the police she complied. After driving away from the grey SUV the police offers joked about the drunken state of its driver and only God can go with him because they couldn’t. This made me sick with disgust as I thought of the damage that could have been done to other innocent road users. The police did not intervene only made jokes about the driver’s condition. Upon arriving at the Central Village Police Station at approximately 2am, I was strip-searched by a female officer who denied me a telephone call and put me in a cell with four other detainees. The following morning when I asked for my phone call the said female officer, who strip- searched me the previuos night said “Yuh only get a phone call fi tell yuh people sey yu inna lock up, an you an yuh entourage come ere last night, so dem know weh yuh deh, yuh not entitled to nuh phone call!” I insisted that I be given my phone call and at 9:30am on Friday October 12th reluctantly, the male officer on duty obliged. I called my mother and on the second attempt she answered the phone. She was completely unaware of the previous night’s happenings and after only 2 minutes and 16 seconds the male officer on duty shouted to me that I do not have all day to spend and on the phone and I was to hang up, I immediately complied. At approximately 11am my attorney Mrs. Valerie Neita-Robertson arrived at the station where I was put in a private room and explained the details of the previous night’s and morning events. Meanwhile, Councilor Douglas retrieved a verification letter from the FLA which she brought to the Central Village Police Station and presented it to my attorney. Up to the point of my release at approximately 1:00pm Friday, October 12 th, I was not given any food or water. I was later, that day instructed by attorney to retrieve my firearm from the Hunts Bay Police Station; however, my firearm recertification document was not returned to me. My fire-arm was returned to me at approximately 8:00pm on Friday October 12th. It would be almost impossible for me to express the humiliation and helplessness I experienced. I have always felt an unwavering patriotism for this, my country and my people. It is alive and proven in my life journey where you can see my awards and accolades in agriculture and entertainment/music two areas I am especially passionate about. I have mentored many and fostered 14 boys into being outstanding men today; along with raising 4 biological children of my own. I believe I have contributed to my country. I have represented Jamaica in more than 20 countries across the world in music and culture where I have been asked to speak on many panels and forums. I have chosen to stay and dedicate my life to Jamaica whilst many of my friends, family and colleagues left. And, because I consider myself a Patriot I feel especially violated, and the victim of a blatant misuse of authority by persons, some of whom were not even conceived when this country issued my licensed firearm almost 30 years ago. My acts of philanthropy and charity are too many to mention but I've always considered this my duty. I have worked tirelessly and passionately to live an exemplary life for my children, the many others I have raised, my staff and those I mentor. I have asked and expected very little in return. 1. If the point in question on the evening of my detention was to verify the validity of my fire arm license and the FLA was contacted on that said night then why was I detained based on the fact that my license was valid till October 24, 2018? 2. After explaining that I was told by an officer only days before to write the date which was torn on my recertification paper why was I detained for forged documentation? 3. Is it illegal to smoke a cigarette in my vehicle? 4. Is it legal for a police officer to demand that I put out my cigarette in my own vehicle? 5. Can I be arrested for not complying with an officer’s request to put out my cigarette in my own vehicle? 6. Can a police officer use force to return someone to their vehicle for accompanying a police vehicle that suddenly/randomly stopped with their relative/friend/colleague being taken into custody? 7. Can I be denied a phone call when being detained and arrested? 8. Is it a police policy to tell someone to shut up when two persons are having a conversation? 9. Is it a fact that civilians have absolutely NO RIGHTS in a Zone of Special Operations? 10.Is it the policy of the police that persons being held in the system not to be given food or water for almost 16 hours? 11.Is it the norm that 8 armed police officers be assigned to a case such as this for almost 6 hours totaling 48hrs of human resources tax payers time for this, which has turned out to be an unlawful arrest? Which equates to 6 days regular work–time. 12.Is it the policy of the police to expose a licensed firearm holder’s gun in plain sight of the public and passersby for an unreasonably extended period? 13.What was the reasonable suspicion under which my vehicle and personal belongings were searched? 14.Under what reasonable suspicion was the female officer (badge # 17895) advising that I be detained for 7 days? Cc: The Most Hon Andrew Holness Major General Anthony Anderson. FOOD FOR THOUGHT: Will the crime plan work after SOE, ZOSO?